This tutorial is brought to you by Jade Harrington aka Jaderbomb. 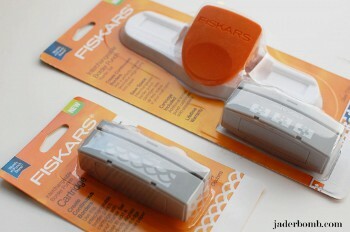 Check out her review for another Fiskars product, the ProCision Rotary Bypass Trimmer. Do you love coffee as much as I do? Do you travel places with your coffee because you are always on the go? 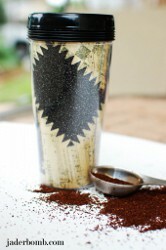 DO you wish you could decorate your “travel” mug to reflect your personality? If so then I just know you will love the tutorial I have for you today! You can buy a starter set that will come with the base (which you can use for all of the interchangeable punches) and one cartridge. You will notice when you purchase this that you can also purchase the base and cartridge individually if you prefer. When you start you want to flip the two plastic flaps open from the bottom of the cartridge. This will help you align your print when you start punching. 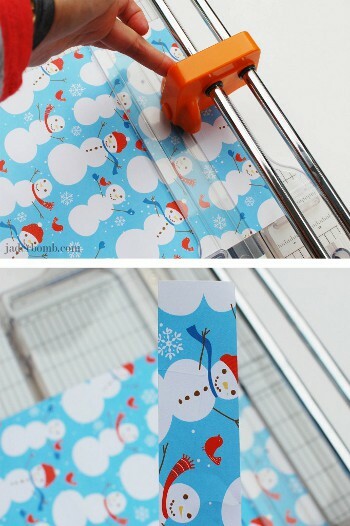 When you are ready get your travel mug, take out the paper insert and trace on the back of the decorative paper. Cut it out and you will have the same shape that came with the mug. 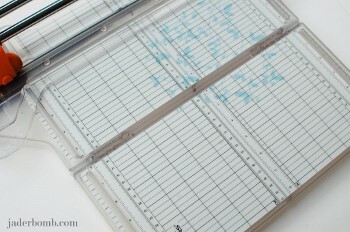 Cut another piece of scrapbook paper into squares and start punching the edges. I wanted a variety of designs so I used a few different punches. 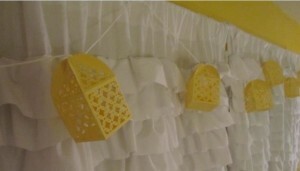 You can glue these pieces down or use spray adhesive. Whichever you prefer. 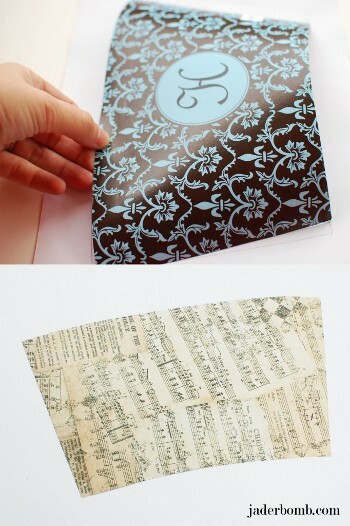 Depending on how thick your paper that you are adding is, you might want to use hot glue to ensure that it will stay. 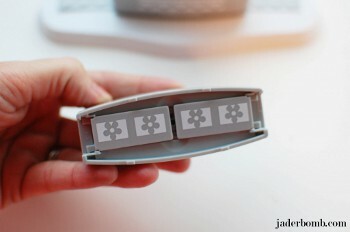 Now that you are done punching the sides you can add a photo to the middle. 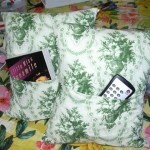 You can make your squares smaller or bigger depending on how many pictures you want to display. I am very pleased with the way it turned out! I love this project because you can really show off your loved ones and your personal style. 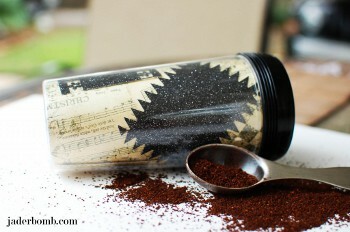 Drinking coffee has never looked cooler! I hope to see lot’s of people walking around with decorative travel mugs now! BYE! 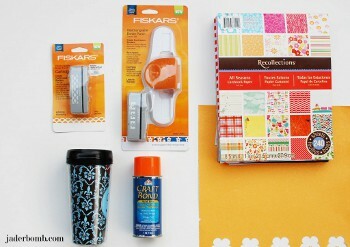 We’ve got an exciting new giveaway with one of the most well-known crafting supply brands, Fiskars! Whether you’re a crafter looking for new die-cuts or letterpresses, a fan of embossing, or someone just looking for a clean way to cut their paper crafts and fabric, the Fuse Creativity System Prize Pack is for you. Until December 27th, AllFreeChristmasCrafts will be running this giveaway on their page, and everyone is still welcome to enter. Not only will one lucky winner be receiving a complete Fiskars Fuse Creativity System Starter Set, but also four extra expansion packs with even more die-cuts and letterpresses to prepare you for all the crafting you’ll be doing. 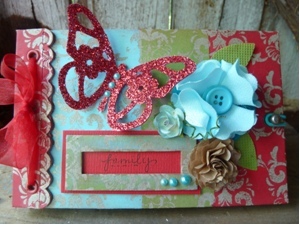 This new system is getting a lot of buzz in the crafting community, and we can see why. 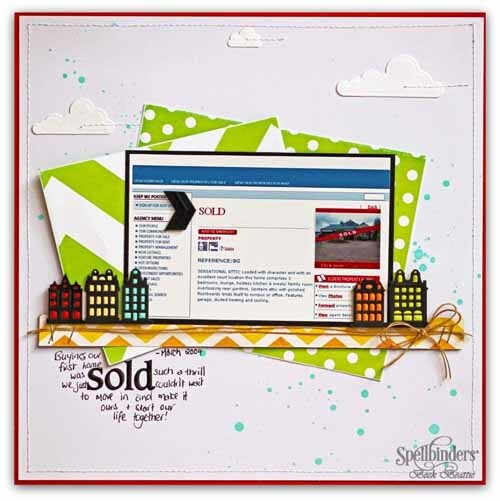 Readers already have plans to make cards, stencils, scrapbooks and much more after hearing about this, and the reviews are glowing. 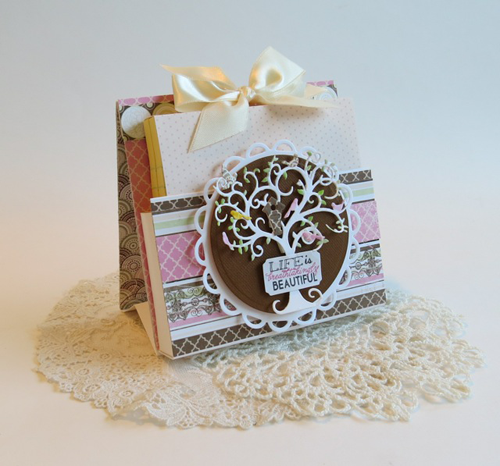 If you want to find out more about what makes this package so special, make sure you read the full review on FaveCrafts. 1. Like the AllFreeChristmasCrafts Facebook page. 2. 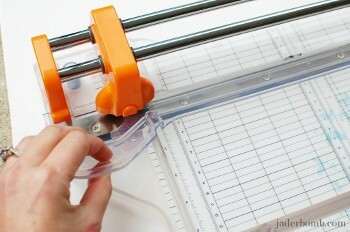 Like the Fiskars Facebook page. 3. Fill out the entry form on AllFreeChristmasCrafts.com. 4. Make sure you enter by December 27th. Nothing lasts forever and our Craftwell eBosser Automatic Emblosser & Die Cutter special offer is no exception. 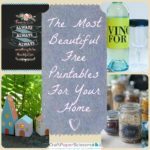 If you’re still on the fence about purchasing this product, let me explain why this product is necessary for all serious crafters. 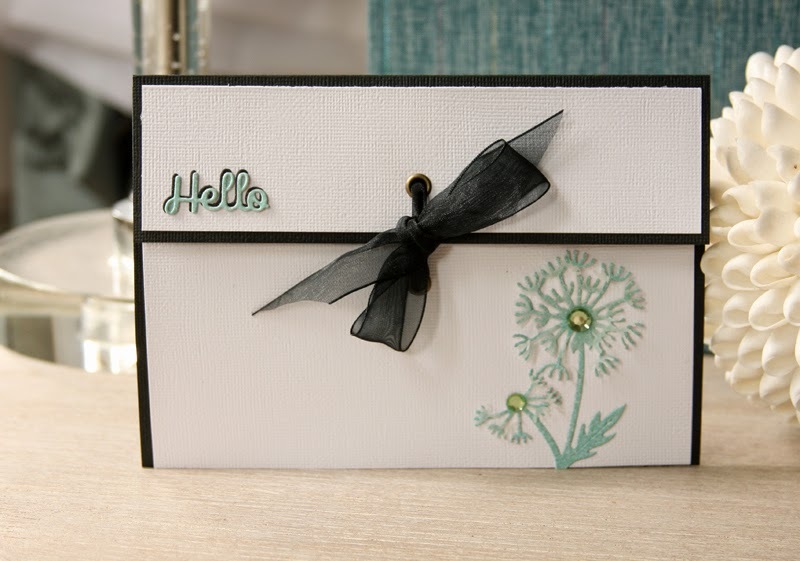 The Craftwell eBosser is a one-stop shop for all things cardmaking and paper crafting. 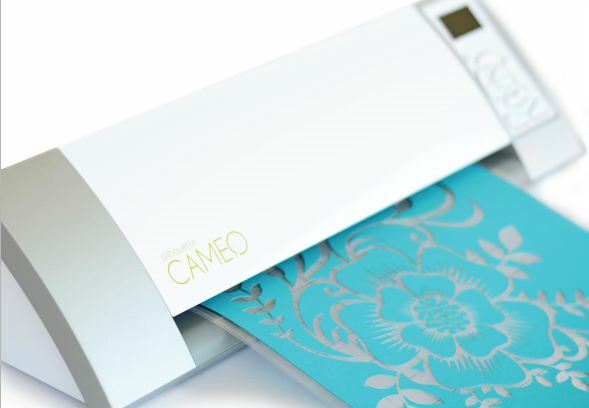 This embossing and die-cutting system is fully automatic and features a one-step cutting system. 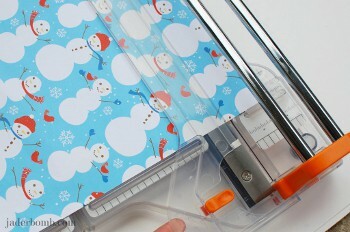 In a single pass, you can cut through multiple layers of paper, fabric, leather or even metal. It’s easy enough for a beginner to use but can be used by professionals as well. 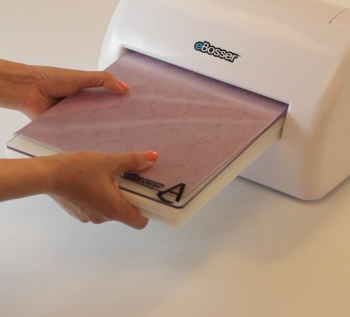 The eBosser is also portable – you can even take your eBosser with you to craft classes and get-togethers. If you like making cards, scrapbook layouts or mixed media projects, you know that cutting out tiny little shapes can be extremely time-consuming. 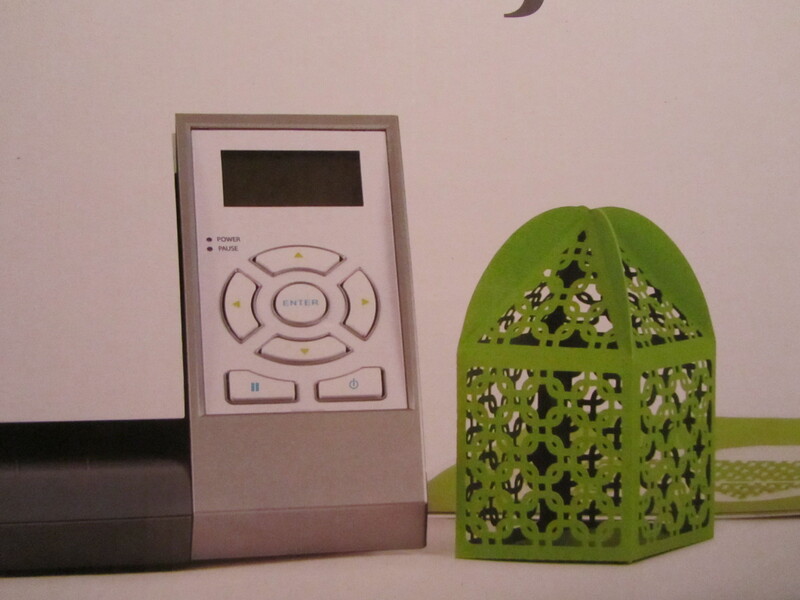 A die cut machine takes out all of the heavy lifting – you can complete more projects in less time with this handy machine. Best of all, you don’t have to run out and buy a bunch of new dies for your machine. 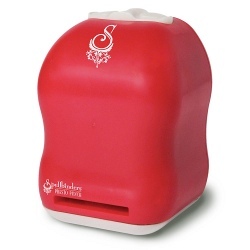 The eBosser is compatible with Spellbinders, Sizzix and Accucut and more. Don’t wait! 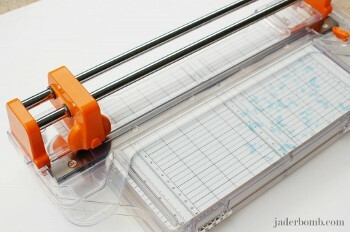 For a limited time, CutRateCrafts is offering a Craftwell eBosser Automatic Emblosser & Die Cutter for just $199.99. That means you can save more than $29 on this innovative product and a variety of accessories such as an embossing/cutting platform set, a letter-size embossing folder and base platforms. 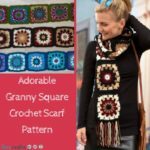 Purchase this must-have craft product before it’s too late – it’s a great Christmas gift idea for any crafter! I’ve got some exciting news for you, crafters! The first bit of news is that I’ve got a brand new Silhouette Cameo cutting system, and I’ve been playing with it all week. I’m going to be sharing some project ideas with you throughout the week, so if you’ve got a Silhouette, or if you’re planning on buying one, stay tuned to get some ideas! 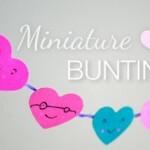 The second bit of news might be even more interesting to you: At the end of the week, I’m giving away a Silhouette Cameo to one lucky FaveCrafts reader!!! 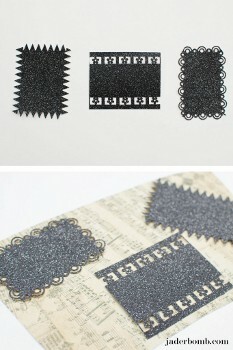 You’ll also get your choice of one starter kit (Fabric Ink, Rhinestone, Vinyl, or Heat Transfer). And if you don’t win, you can always buy one (or ask for one for Christmas) using our handy dandy promo code. 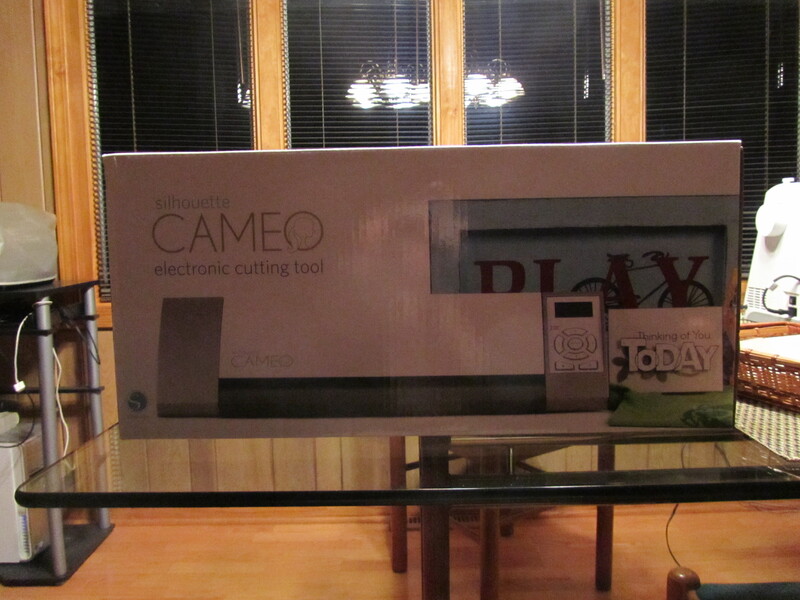 Just use “FAVE” to get yourself a brand spankin’ new Silhouette Cameo with choice of starter kit for only $299. But hurry, the code only lasts until October 31, and the machines will sell out! 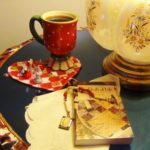 Leave a comment on any of our Silhouette blog posts (this one or any post I write this week that has “Silhouette Cameo” in the title) telling me what you would make if you had a Silhouette Cameo. I’ll randomly pick a winner and announce who won on October 30! Isn’t it cute? I decided I had to have one. I have a huge stack of lightweight yellow paper leftover from my heart straws project, so I used that for most of my Silhouette experiments. Yellow is my favorite color, after all. One wasn’t enough, so I ended up making a bunch of them. It was really easy to make them too. All I did was tell the Silhouette to cut the shape out, and then I peeled the remaining paper off the cutting mat, folded along the perforated lines, pushed the little tabs into the flaps, and glued the tops together with glue stick. I don’t have any lights to put in them yet, but I think I sense a wedding appearance for these little guys! Check back tomorrow to see what else I’ve made so far! 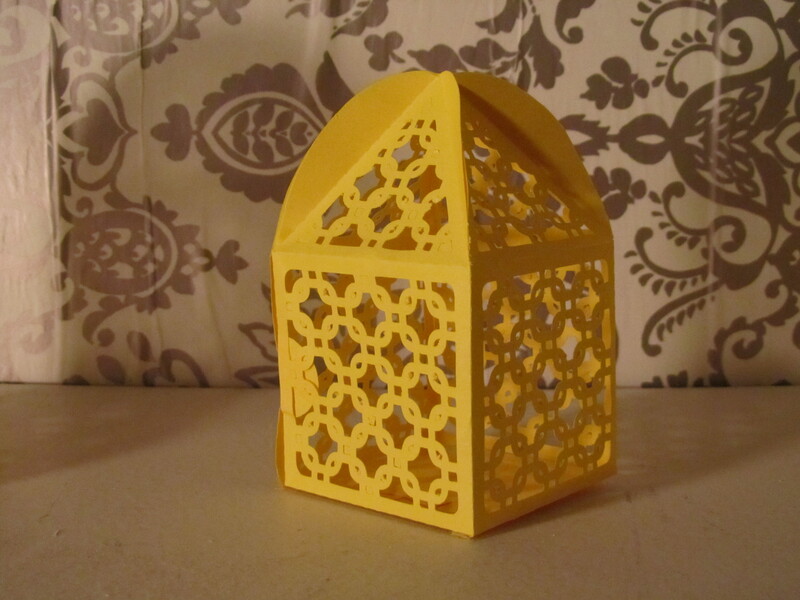 Don’t forget to leave a comment telling me what you’d make with a Silhouette Cameo–you just might win one! 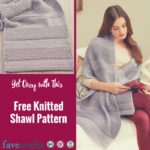 Hi FaveCrafts friends! 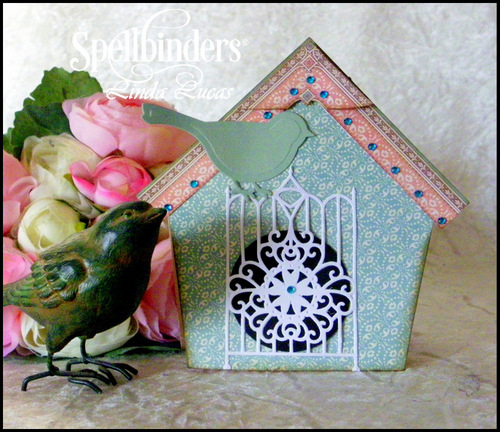 My name is Eileen Hull and I design dies for Sizzix. They make the Big Shot, a die cutting machine, which is used with dies that are designed to cut out shapes when you roll them through the machine from paper and other materials. ScoreBoard dies are my specialty- they cut and score matboard and other thick materials into boxes, folders and books. My latest collection is called Fresh Vintage and includes six flowers and leaves, which are so much fun to cut from recycled and vintage materials like book pages, ledger paper, coffee filters, tissue paper, sewing patterns, tin foil, fleece, fabric, felt and whatever else you happen to have laying around. The six ScoreBoards dies: the bird, butterfly, album (shown today! 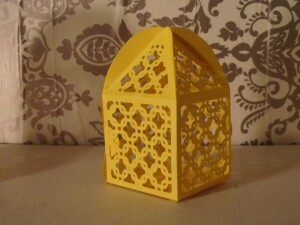 ), vase, suitcase, and caddy, are meant to be cut from mat board and provide a nice to sturdy base to embellish! 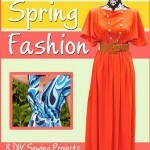 Today I am happy to present the Sizzix Fresh Vintage blog hop starring 75 top craft designers. 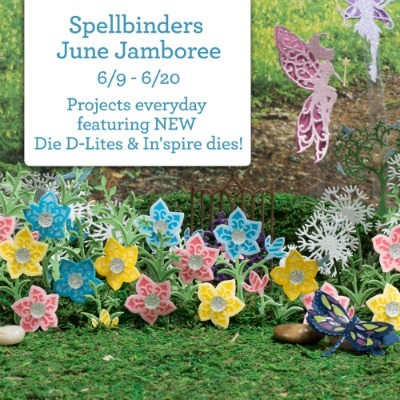 Every Tuesday and Thursday for the next six weeks, a different die will be featured and 6-10 inspiring projects will be shared for each die. 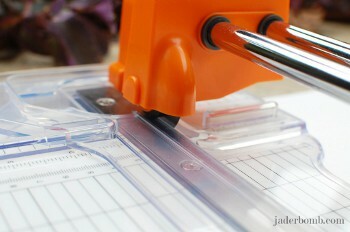 Here’s a peek at one fun way to use the ScoreBoard Album die! We will also be including products from many of the leading craft manufacturers’ to show how well the dies work with other supplies you may have in your craft stash. You can view the blog hop by heading on over to my blog to see lots of cool techniques and inspiring ways to use the dies. Keep clicking on the Fresh Vintage blinkie to see all of the different projects. 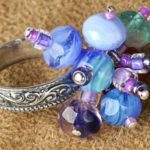 Many thanks to FaveCrafts for letting me share my blog hop with you 🙂 Come back again on Thursday, September 29 for a look at the next project! I am so excited to announce our latest ginormous giveaway! If you’ve visited our Facebook page recently, you might have noticed a flurry of activity and new fans (Hi, new fans! Welcome!). And if you’re a newsletter subscriber, you were probably one of the first to know about this super exciting giveaway. To those who are out of the loop, here’s the deal. 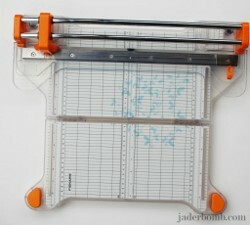 We’re giving away a Spellbinders Grand Calibur AND Presto Punch!!!! Can you even believe it? I’m so excited I can hardly contain myself, and I don’t even have a shot at winning. But that’s the difference between you and me–you DO have a shot to win. All you have to do is like us on Facebook (come on, we don’t bite!) and then you can enter to win from there. An added benefit to liking us on Facebook is that you can get up-to-the-minute FaveCrafts news and gossip; see links to our new blog posts, giveaways, and project ideas; answer our crafty polls; argue with fellow crafters in our Facebook controversy posts, and more! But that’s not all we’re giving away! 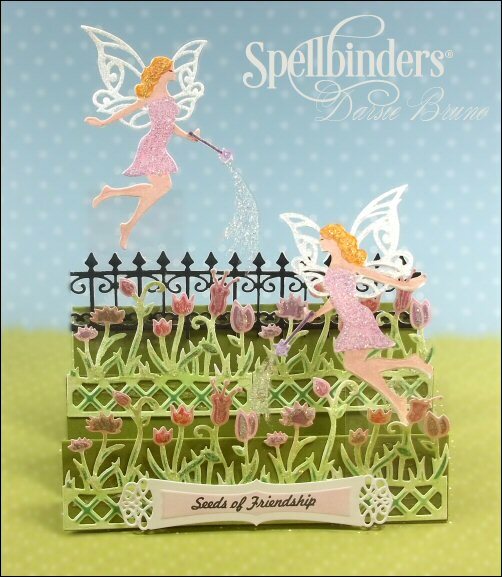 We’ve also got a Presto Punch for you, which is the newest addition to the Spellbinders family. It’s a brand new product that you can enjoy (for free!) if you win the giveaway. Just click the like button on Facebook and you’re eligible to enter! 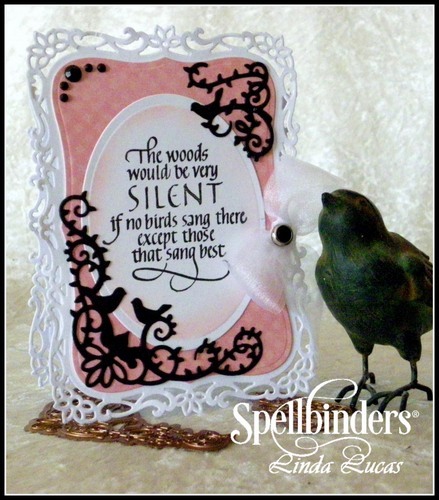 If that’s not enough to convince you that you need this prize, Spellbinders is also throwing in a Grand Nestabilities® die template to use with your Grand Calibur and a 40-piece font punch template set to use with the Presto Punch. One lucky winner (and Facebook fan) will win it all! All together, the prize is valued at $300. Can you say “Wowza!”? So what are you waiting for? Head over to Facebook, click the like button, and enter to win this amazing prize package! The contest runs through June 12, 2011. Tell us: What would you do with this prize if you won? 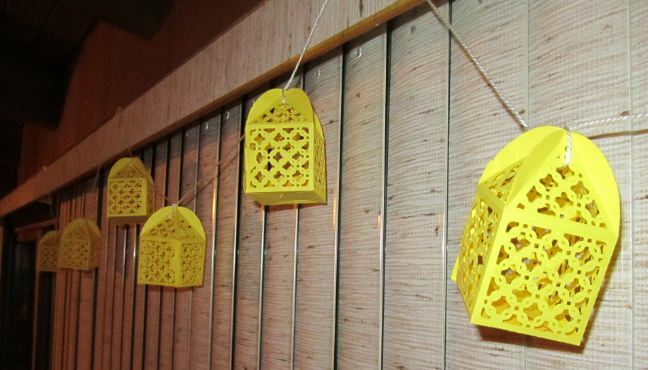 What crafts would you make? This week’s Meet and Make designer is Eileen Hull. 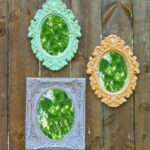 Eileen is the author of Foamboard Magic and Matboard Magic, and she also has several cool projects on FaveCrafts using Sizzix products. 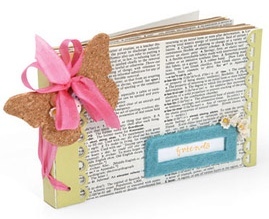 In fact, she even released her own line of dies for Sizzix. You can see more of Eileen’s work on her blog. If you’re a die-cutting fiend, you need to meet Eileen Hull! I have been known to drink Diet Coke for breakfast. My most creative time is somewhere around 2 AM. We have moved 13 times courtesy of the US Army and I have loved every place we lived. 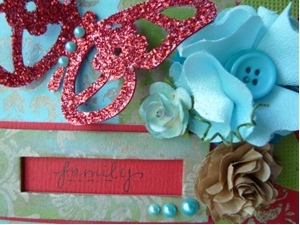 My favorite material to craft with is matboard- it is the perfect paper! Hate to admit this one but I am afraid of heights. I got to the top of the Eiffel Tower and freaked out. It took me till I was 13 to learn how to do a cartwheel- my three younger sisters all tried to teach me and there was great rejoicing when I mastered it! Original Star Trek fan- so cheesy but so good. Cut teacup die from matboard. You will need to cut two of the teacup shapes from matboard. 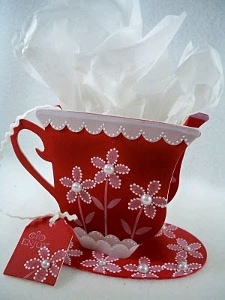 Stamp flower three times with white ink on front of teacup. Stamp flower around the saucer shape also. 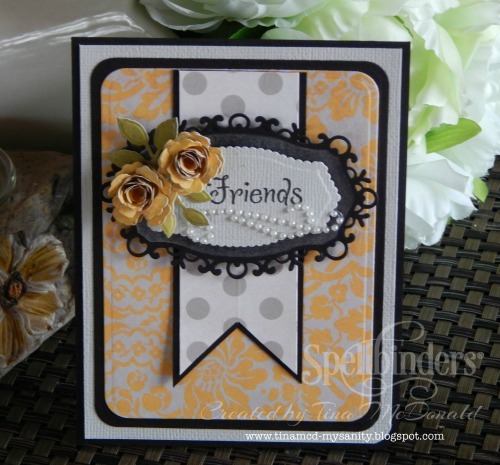 Add pearls to flower centers. Outline edges of the flower petals with Souffle pen. Cut several strips of vellum with scalloped punch and arrange on front of cup as seen. Ink edges of cup and saucer with red ink. 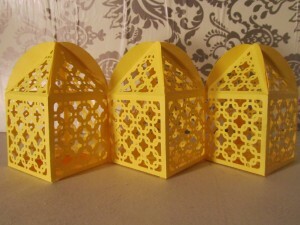 Outline scalloped edges with Souffle pen. Assemble teacup. On the teacup shape in back, you will have to fold the matboard against the score in toward the middle of the cup. Be careful to bend gently without breaking it off. 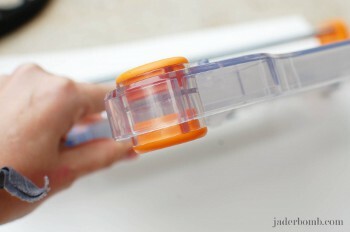 Apply lines of strong double sided tape to the sides of the teacup inside strip. Assemble the box. Stamp or write message on teabag tag. Fill box as desired!